A new European Wii makes backwards compatibility a thing of the past. If you live in Europe, have a stash of old GameCube games, and want to buy a Wii, your time is now limited. 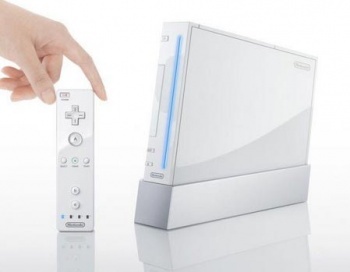 According to Nintendo, this Christmas will see the release of a newly-designed Wii in Europe. The new model is smaller and allows for easier horizontal orientation, but there's a catch: The system will lose its backwards compatibility with GameCube titles and accessories. This news is especially salient for gamers who use GameCube controllers with Wii titles, such as Super Smash Bros. Brawl and Mario Kart Wii. Players who want to enjoy these titles without motion controls will still be able to, although they will have to invest in a Classic Controller or a third-party gamepad. Of course, players who simply wanted to play through titles like The Legend of Zelda: Wind Waker or Eternal Darkness will be out of luck, too. Starting this Christmas, Nintendo in Europe will be focusing on the new Wii bundles. A bundle will include the new Wii model, Wii Sports, Wii Party, a Wii Remote Plus, and a Nunchuck. Nintendo has yet to announce a price. While GameCube compatibility is a nice thing to have, dropping compatibility features for cheaper prices or expanded features (PS3, DSi) seems to be an increasing trend in the console market. With Christmas still many months away, European gamers have plenty of time to get their hands on a backwards-compatible Wii.